THE MAN WHO FEELS NO PAIN is the kind of action comedy that used to be so popular back in the 70s. Everyone who went to these (the Bud Spencer and Terence Hill western comedies, the SABATA series and the later 90’s Stephen Chow films) know that they were not in to experience a cinematic classic but in for just silly fun. 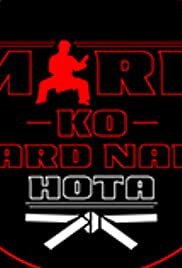 These comedies made a lot of money but seemed to have disappeared from the screens till this Bollywood-infused martial-arts action film. The film begins with a saying that mind blowing stories have their origin from bad decisions. It then goes on to attempt to prove this by the life of a character than was born unable to feel pain. The doctor explains to the audience the medical ailment called ‘congenial insensitivity to pain’ (jokingly also telling the audience that they can google it later), then that this young boy, Surya is born with this disability. I did google the term and found out that there is indeed such a disease that has affected maybe only 20 people or so in history. Many suffer because they might bite their lips or tongue or undergo no pain without realizing the harm they are causing their body parts. The film begins in flashback. As a baby, Surya’s mother is killed, the result of a chain snatching incident. His grandfather secretly trains Surya (Abhimanyu Dassani) by getting him a series of action videos cassettes like BIG TROUBLE IN LITTLE CHINA and STREETFIGHTER, So he becomes the Karate Man. The action involves him and a girl Supri (Radhika Madan) saving her one-legged karate master, Manni from his evil twin brother Jimmy (Culshan Devaiah playing both roles). All the comedy and action high-jinx take place in the city of Mumbai, India – the birth place of director Bala. Bala’s film moves breezily along and works very well bringing forth the laughs during the first hour or so. It is during the second half that the film starts getting into trouble. It is when the second story (and less interesting one) comes into play. The film is a lengthy 2 hour film, which is considered short for a typical Bollywood film. At best, the film captures the Indian culture as the action comes along. When Surya takes off on the roof of a building, it is comical to see dried chillies laid out in the sun for drying. The grandfather and father are quite the clowns as well. The question “What has India learned from 70 years of independence?” is also comically posed. Abhimanyu Dassani makes a good-looking, fit occasionally goofy-looking hero. His kicking and punching look real enough to convey him a fighter to contend with. The dance choreography and songs are not bad either. THE MAN WHO FEELS NO PAIN premiered at this year’s Midnight Madness Section at the Toronto International Film Festival. It won the People’s Choice Midnight Madness Prize. THE MAN WHO FEELS NO PAIN definitely succeeds as an action packed hilarious crowd-pleaser.